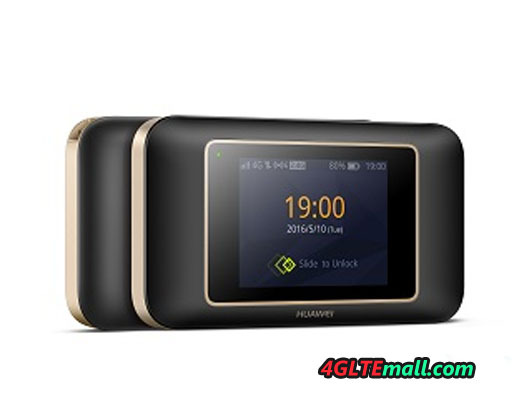 Huawei E5787 4G+ is a new mobile LTE Hotspot which has been released last year and now it’s available for many network providers in Asia and Europe. 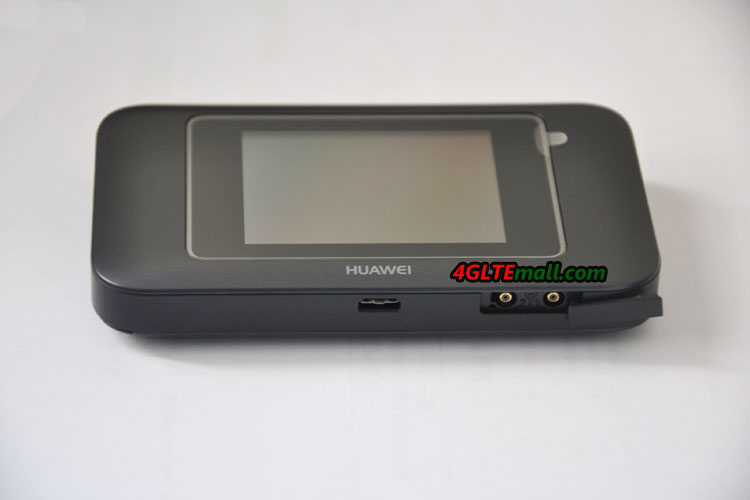 This is the successor to the popular Huawei E5786 from the year 2014. As the predecessor, the E5786 modem supports up to 300 MBit/s in the downlink (LTE category 6), technically speaking, not much has changed. 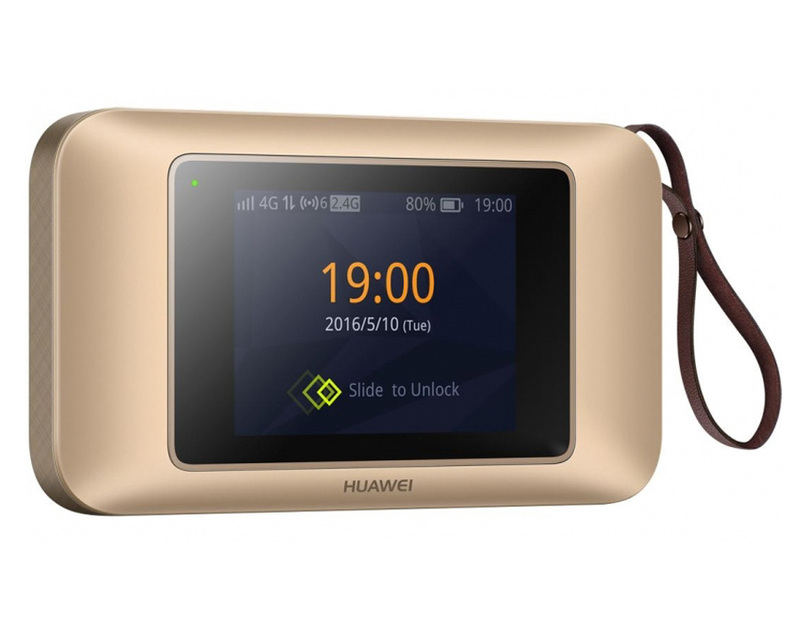 The new Huawei E5787 has the large touch screen on the front, with which the hotspot is particularly easy to use. 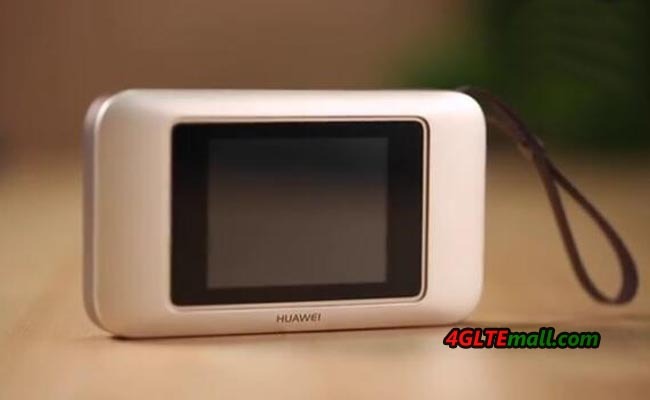 In the test, you will see the detail features of the Huawei E5787 and the specifications. 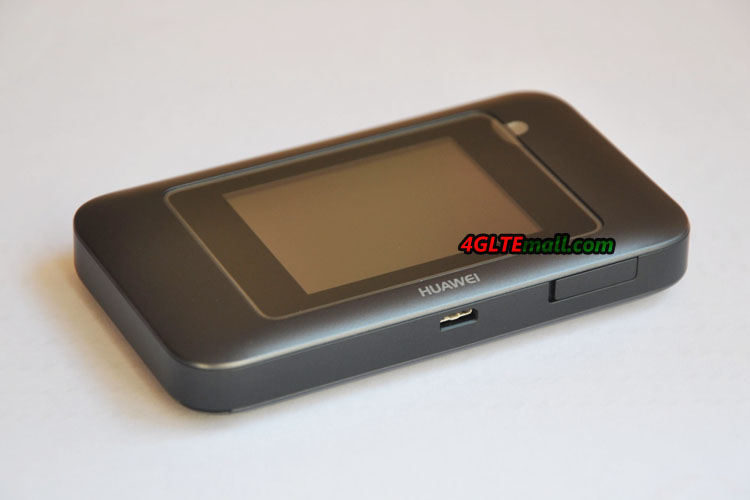 The Huawei E5787 4g+ MiFi is available in black and white. The device is slightly smaller than the predecessor Huawei E5786 and works overall quite inconspicuous. The large touchscreen display is visible on the front, but an LED indication is not available. At the top of the hotspot is the power button, there is a micro-USB port as well as two TS-9 antenna connectors. In addition to the power supply and USB charging cable, it also includes a small hand loop in the package, which can be attached to the router. The first impression is quite good. 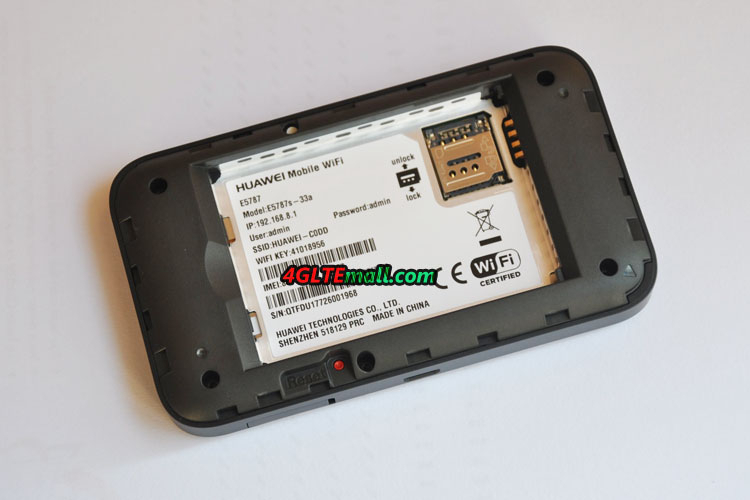 After inserting the SIM card as well as the battery (nano-SIM cards with adapter on MicroSIM work safely) you have to start the Huawei E5787 over a long press on the power button. If you do not use a completely exotic provider, the LTE Hotspot configures itself completely automatically and after entering the SIM PIN you are already online. The Huawei E5787 is sold worldwide in several variants, which support different frequency ranges. 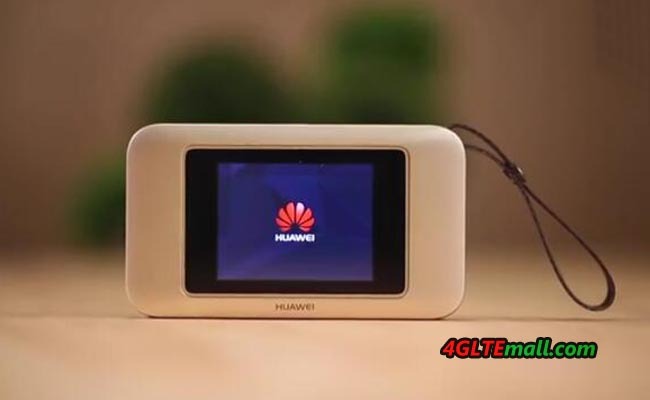 The Huawei E5787s-33a is available in Europe and is compatible with all frequency bands that are important in Europe but can also be used on other continents. Unfortunately, with the chipset has not changed in comparison to the predecessor, there is still “only” LTE Cat6 with 300 MBit/s. Many smartphones such as the Huawei P10 or the Samsung Galaxy S8 are already offered at least 600 MBit/s in the downlink with a higher-level chipset, and the Netgear AirCard 810 touch screen hotspot is also providing faster service. 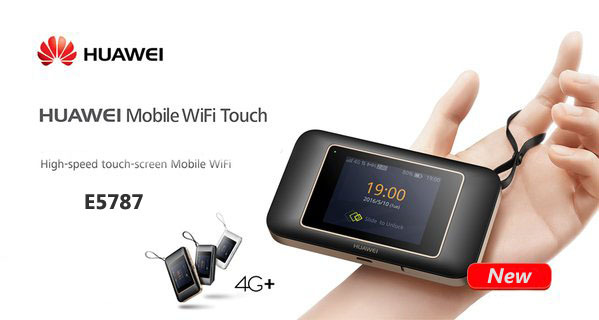 The E5787 is Huawei’s first mobile WLAN router with touch-screen operation. 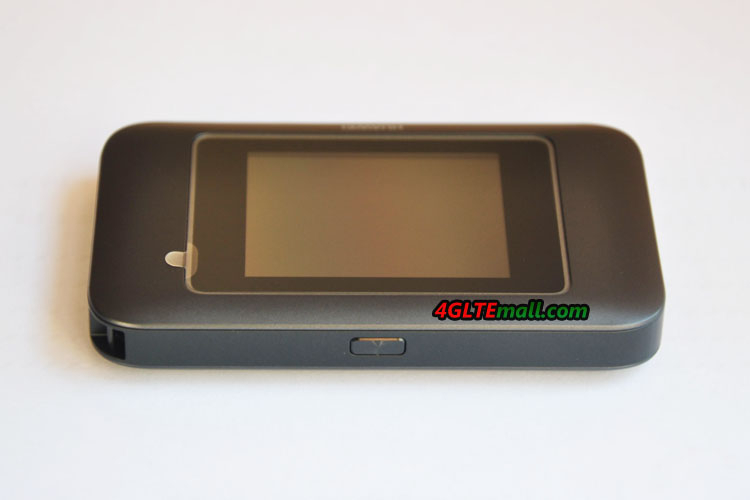 The display is 2.4 inches in size and provides a color display. The plastic cover over the display reflects quite strongly and the display quality of the display is not comparable to that of current smartphones, but much worse. You can recognize all the contents well, but when you look at the display, it is somewhat brighter. But the response of the screen is good, and usually one seldom uses the display at an LTE Hotspot. The speed of the software and the response speed of the touchscreen could be convincing. 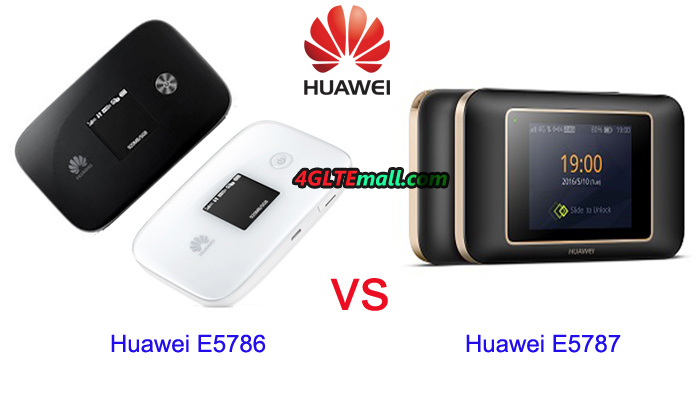 Huawei offers a much better experience in the E5787 hotspot than Netgear AirCard 790 or AirCard 810 Hotspot. Also, the software is quite appealing, without losing the functionality from the eye. On the start screen, all important functions are displayed by default. This includes a large time display including the date as well as the status bar Information about the reception, WLAN and battery. Access to further functions or the settings is obtained by unlocking the E5787 with a “Swipe” to the left. In the main menu, there are the 6 menu items “Connection Wizard”, “Energy Saving Mode”, “SSID and Password”, “SMS”, “Settings” and “Info”. In addition to the touchscreen operation, a web interface is also available, which can be accessed via the IP address 192.168.8.1. In addition, the Huawei HiLink app is also available for iOS and Android, with which a configuration is also possible. 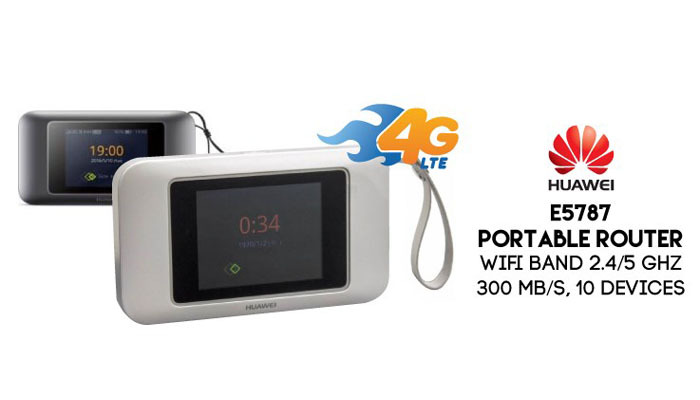 Devices can be connected to the Internet either via the USB port or via WLAN. The cable connection worked in the test without problems, but most users will probably use WLAN. The maximum speed over WLAN is 867 Mbps, up to 10 devices can be connected at the same time. 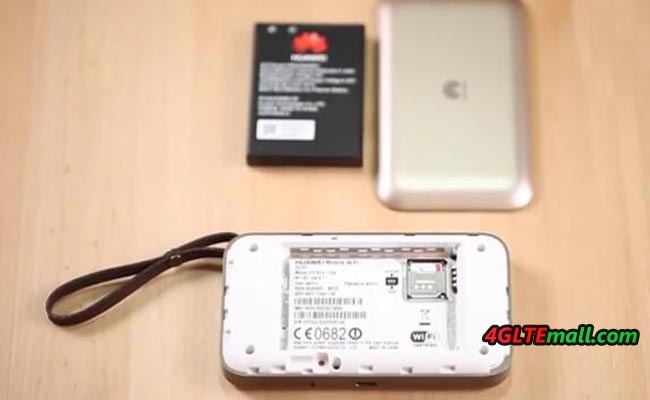 The Huawei E5787 supports both the frequency range around 2.4 GHz as well as the 5 GHz, the simultaneous use in the dual-band mode is unfortunately not possible. In the test, there were no problems with the WLAN. It is nice that the WLAN access data are no longer displayed in the display like on some previous Huawei hotspots, but are only displayed on demand, so as the important settings such as WLAN SSID, WLAN password. A major disadvantage of the Huawei E5787 compared to many other LTE hotspots: a so-called WLAN extender or WLAN repeater is missing. 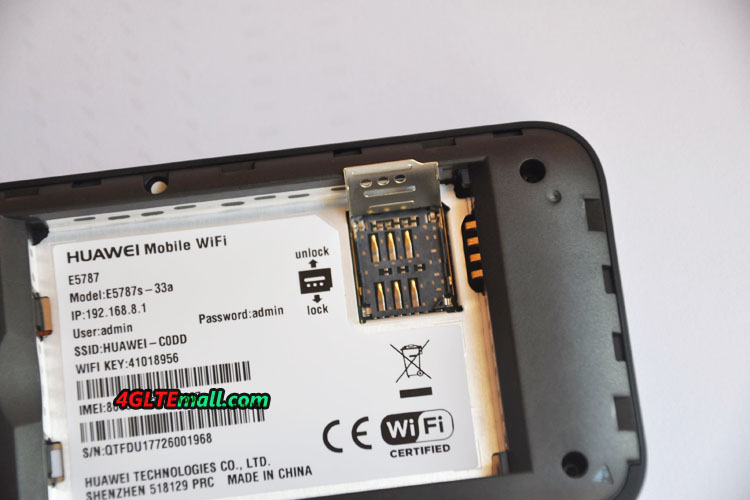 The predecessor E5786 had still integrated the function, with which one can use an existing WLAN network as Internet access, but in the E5787, Huawei disabled the function for unknown reasons. It’s really a pity. 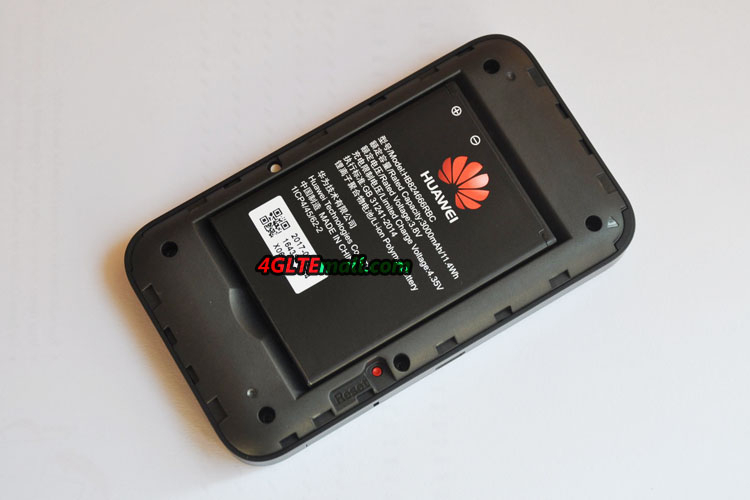 The battery of the Huawei E5787 has a capacity of 3.000 mAh. 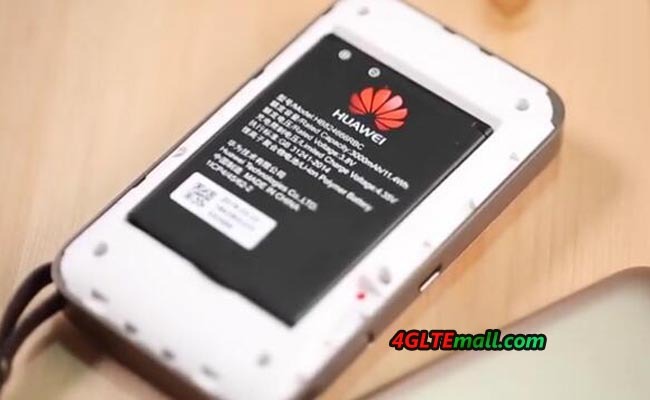 The battery can easily be replaced by the user, which is an advantage compared to the predecessor model Huawei E5786. So you can buy a second battery or in the case of a battery defect, quickly replace it even outside the warranty period. In continuous test operation with an average of 3 WLAN devices connected simultaneously to 2.4 GHz, the runtime was around 10 hours. 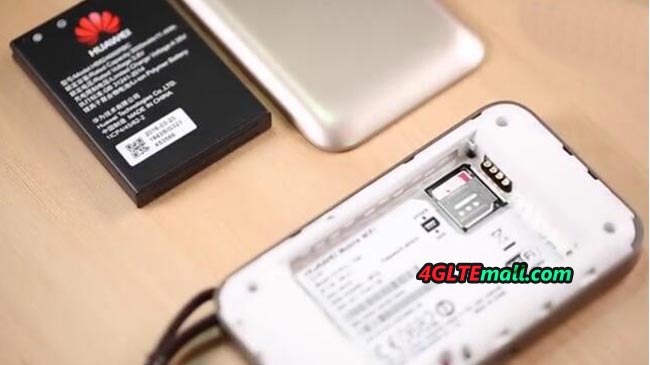 The E5787 4G Hotspot offers the possibility to also be used as an external battery (“Powerbank”), which can charge an empty smartphone with power off. For a full charge, it should not be enough with most current smartphones, so the Powerbank function is, therefore, more suitable for the emergency. 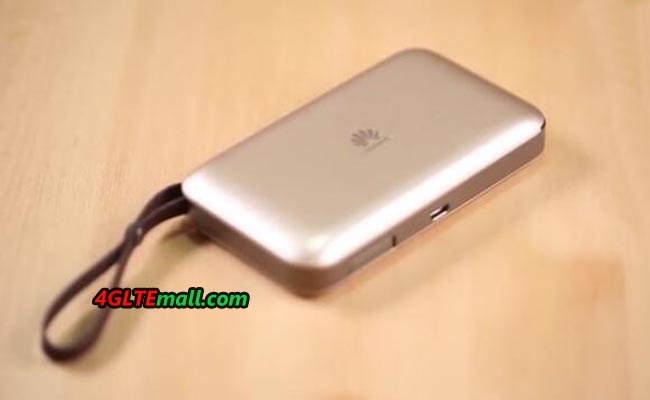 The Huawei E5787 is a very good LTE hotspot. The touch screen operation was well implemented and the software was designed appealing. The modem performance was good in the test and the maximum speed of 300 MBit/s should be sufficient for most users, but it is disappointing that Huawei “only” installed an LTE Cat6 modem and the E5787 has no great technical improvement. Also some practical functions are missing: the simultaneous spark on 2.4 and 5 Gigahertz is not supported and support of a maximum of 10 devices at the same time in comparison with the competition also somewhat obsolete. 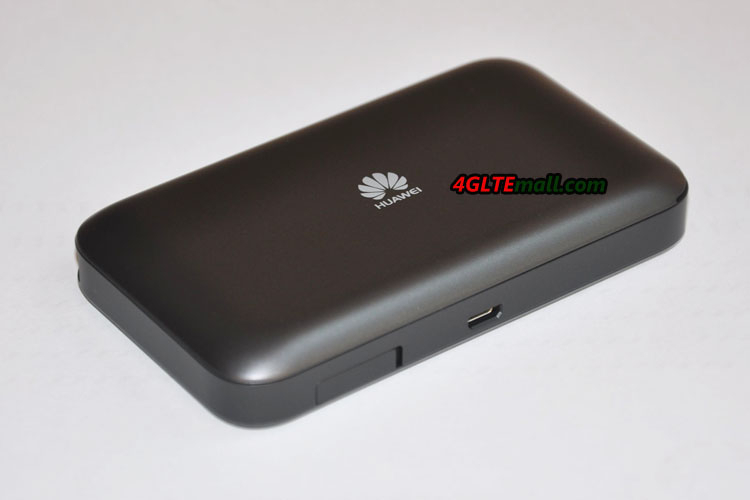 Nevertheless: if one can ignore the few criticism points, the Huawei E5787 a very good mobile LTE hotspot to recommend.